How to know if a dance teacher is knowledgeable? How to know if a dance teacher is knowledgeable in their style of dance? 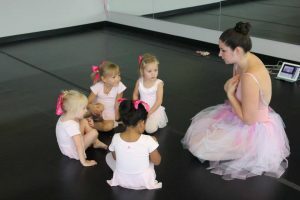 Along with choosing a dance studio, having the right teacher for your children is just as important. Yes, you want them to have a sweet and cheerful demeanor, but they also need to know about all aspects of dance. How do you know if the teachers are knowledgeable about the styles of dance they are teaching? 1. Look at the teachers attire. Do the teachers dress to the specific style of dance they are teaching? For example, if it is a ballet class, are the teachers in a leotard, skirt, and tights, or are the teachers in sweats and tennis shoes? 2. Look up a few dance terms in the style of dance your children will be attending. Quiz the teachers and see how they respond. Do they answer using dance terminology or street terms? 3. Do they know the origins of the particular dance style? 4. Look at how the teachers dance, especially the older teachers. Are they good or bad? If the studio is new, how do the owner(s) dances? What are other questions you can or have asked your children’s dance teachers?